Ashampoo Burning Studio users are unusually loyal, with good reason – this program’s speed, simplicity and efficiency are simply unbeatable. Ashampoo Burning Studio 2010 Advanced was available as a giveaway on August 26, 2010! Ashampoo Burning Studio users are unusually loyal, with good reason – this program’s speed, simplicity and efficiency are simply unbeatable. Over the years the Ashampoo programmers have turned the program into a full suite that can handle all your data, audio and video burning, without sacrificing its famous ease of use. In version 2010 they have once again added a wealth of new features and modules, but the program is still amazingly intuitive to use – everything is explained as you do it. How would you improve Ashampoo Burning Studio 2010 Advanced? Please add virtual burning to iso image files, include blue-ray iso cd image. In addition to burning ISO files, it would be great if there is an option to allow users to convert files and burn them into a bootable cd/dvd. i've tried with other programs ____ISO and i could not get the hang of it. Upgrade price for GOTD users: $29.99 instead of $49.99! good software，if add avi burn would be better. Both installed installations have lost their license. Notes: Ashampoo has spammed me to death daily. Recommendation: Due to both of these issues, I don't believe I will ever deal with Ashampoo again. It's a shame as well - These issues cloud over what may other wise be a good product. Great program. It far exceeds StarBurn (Also from GOTD) and even Roxio Creator. I am delighted at the speed and easy software interface. #97, yes I know we need to convert it to vob files b4 u can create DVD video but shouldn't it'll be more convenient if it can encoded it on the fly just like DVDFLICK ? ? Good software - erased RW CDs that Nero couldn't. Installed fine on XP Pro SP3 Good software - erased RW CDs that Nero couldn't. Thanks GOTD. There are some interesting free applications in Ashampoo's Download section. I installed Ashampoo Clipfinder HD and registered it for free. It download a 13-part youtube video I wanted to save as mp3's. Two other programs I own wouldn't download this video at all, but Ashampoo's Clipfinder HD succeeded with a few clicks. I'm so happy and extremely impressed with the quality of their software and their professional website. I like having the ability to have a personal account on their site. Thanks again Ashampoo and GOTD! ABS newer versions do not work with Windows XP Home, in my experience. So your problem may not be your DRIVE but your OS. I could find no remedy for Win XP. Dear #94, Farawaydeb, ABS newer versions do not work with Windows XP Home, in my experience. So your problem may not be your DRIVE but your OS. I could find no remedy for Win XP. Installed fine but never received the activation code even after numerous request so it is useless for me. I will wait a bit longer but if still no email from them will uninstall. #66, not necessarilly true, many dvd players and even some blu-ray players can play divx files from dvd disks. Check your player, as certain bit rates, sizes, etc. are supported, but generally not all. Kind of a neat way to say, put an entire season of Lost, for example, on one dvd disk. #66, not necessarilly true, many dvd players and even some blu-ray players can play divx files from dvd disks. Check your player, as certain bit rates, sizes, etc. are supported, but generally not all. Kind of a neat way to say, put an entire season of Lost, for example, on one dvd disk. I have two software programs by Ashampoo. Ashampoo Commander 5 and Ashampoo Burning Studio Free 6.77. Love both of them. Downloaded the Ashampoo Burning Studio 2010 and this one is also great. Very clean looking and not cluttered. Easy to use. I was able to download a complete file to my DVD+R [now that I know the difference between the + and -]:) and the down load was very quick. Very straight forward. Was interested in the above comment about no ISO. So this was one of the first things I checked and found it under the "Create/Burn Disc Image" - so I'm happy. My download and registration was flawless and very quick. No problems at all. I received announcements from Ashampoo and I appreciate getting them. Keeps me informed of what's new out there in cyberland. We senior geeks have to keep on top of the stuff you know - like LightScriber Drivers. I do not have one - DARN. Since I am looking for an external drive, since my 500GB PC is just about filled up with goodies in addition to my artwork, this type of drive might be just my alley. Thanks again GAOTD and Ashampoo for a good program you are offering, for me that is quick. Have a nice day everyone. Am I the only moron to grab this fantastic software, only to be told, “No compatible CD/DVD/Blu-ray Disc drives are found in your system” ? It turns out that you need to be an administrator to run (not just install) the program. I get that message if I'm signed on as a non-administrative user, but if I sign on as an administrator it runs ok. If you read carefully during the install, at some point it mentions the requirements and one requirement is that you need administrative privileges to run the program. #94 <blockquote cite="FarAwayDeb">Am I the only moron to grab this fantastic software, only to be told, “No compatible CD/DVD/Blu-ray Disc drives are found in your system” ?</blockquote> You're not the only one. It turns out that you need to be an administrator to run (not just install) the program. I get that message if I'm signed on as a non-administrative user, but if I sign on as an administrator it runs ok. If you read carefully during the install, at some point it mentions the requirements and one requirement is that you need administrative privileges to run the program. My suggestion won't enter into the box above, so, Ashampoo, please enter the words "Registered Version" on the home page or in the about section when we have succesfully registered the program. Intalled seamlessly on a Win XP Home computer with only 996 MHz, so I don't know if I can fully use the program at this time. I'm glad it did install because I'm planning on buying another computer in about a month. Thanks Ashampoo and GOTD for this wonderful offer. My suggestion won't enter into the box above, so, Ashampoo, please enter the words "Registered Version" on the home page or in the about section when we have succesfully registered the program. Intalled seamlessly on a Win XP Home computer with only 996 MHz, so I don't know if I can fully use the program at this time. I'm glad it did install because I'm planning on buying another computer in about a month. Thanks Ashampoo and GOTD for this wonderful offer. Thank you GotD! I'll take an ashampoo program any day. All the ones I have thus far work great! Business emails -- even ones you have already authorized a company to make -- are required to include some direct or indirect way to UNsubscribe to them. Those companies that fail to do this soon find that I track down some email address to a specific vice-president or the like and then I create a filter that sends these unwanted emails back to that individual -- sometimes with a personal, and usually not very nice, set of words. It doesn't take very long for those emails to stop coming. Thank you GotD! I'll take an ashampoo program any day. All the ones I have thus far work great! Business emails -- even ones you have already authorized a company to make -- are required to include some direct or indirect way to UNsubscribe to them. Those companies that fail to do this soon find that I track down some email address to a specific vice-president or the like and then I create a filter that sends these unwanted emails back to that individual -- sometimes with a personal, and usually not very nice, set of words. It doesn't take very long for those emails to stop coming. Wow - I love this one. Goodbye old standby Nero 6. I am a computer neophyte, but this one's pretty easy for me to use. This is a brill programme, I have used every version of this, in fact have got nearly all of their software, if u don't want to be e-mailed from them, then say so, u have that option, as for getting the code what could be easier than the way they do it, couple of clicks thats it. U can always trust software from Ashampoo, it is first class, and no I do not work for them. Anybody else not get an e-mail with the registration code? I've been waiting and waiting....nothong in junk folder either. Re-installed it so I could fill the form in again and still no-go. Anybody else not get an e-mail with the registration code? I've been waiting and waiting....nothong in junk folder either. Re-installed it so I could fill the form in again and still no-go. This is the first program I've got from GOTD since I upgraded from Vista 64 to Win7 64. It installed and registered without any problems. Looked at the interface and it looks pretty intuitive, but I haven't had a chance to use it yet. Seems to have all the features anyone needs to create and rip CD/DVD/Blu-Ray disks including either videos or just files. Thanks GOTD and Ashampoo for a keeper. I've been a paid registered user of this for a long time, since version 6 at least. This free version is based on version 10. 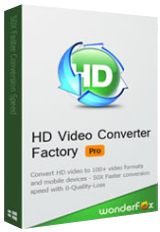 1) The full version has a DVD-Video creating module that lets you drag-and-drop raw video files in, most any kind - AVI, MOV, MP4 - and the program will fit them, convert them, and burn a DVD-Video disc to play on regular DVD players. It automatically chooses the encoding quality necessary to fit to a DVD disc. If you have a 1 hour video, it uses the highest quality. You can add up to 6, maybe 8, hours of raw video files, and Burning Studio 10 will automatically encode at lower quality to fit on the disc. The program tells you what encoding quality it is choosing, so if you added videos with so much time that it kicks into a lower quality mode, you can pull video(s) out to get higher quality with less time. This free version will burn a DVD-Video disc from an already prepared set of DVD files of VOP, IFO and BUP files, or image files like ISO or CUE/BIN. 2) The full version includes a basic video editor for raw video files to cut, edit, add titles, and a few basic video effects. For many people this is the only video editor needed, but it isn't a full video editing program of the kind that has everything and a kitchen sink. From the Ashampoo website, you can download a 10 day trial of the full version. Fully working and unlimited, it expires in 10 days. If you register your email with them you can get a trial key to extend the trial time to 40 days. Then wait a few days and they email you a discount on the full version, an email about once a week, to the day your trial version expires. This free version and the trial version will co-exist on your computer. They install in different directories. If and whenever you pay for the full version, your installed trial version instantly unlocks. This is one of the best quality programs GOTD has offered. So get it! - checked if zip-file was complete? If not, try again – may be a connection error of some sorts? 3. You could always download and run programs in a virtual environment (“sandbox”), i.e. if you have one available (check dotTech for alternatives to yesterday’s offer here on GAOTD – Wondershare Time Freeze 2.0 – in case you missed that onde or didn’t like it). This normally gives a high level of protection. Sorry Dude, The Horse #53, ‘Them of the Unspoken Covenant’, and I fully agree on these issues. You DO neeed a lot of “training” and “education” – preferably not by yourself, from the looks of it. BTW: leave kids out of your silly excuses! Had a great couple of hours! Have a nice (rest of the) night and/or day! Hi, @afawley #19, @Malisaw #30 The dotTech offer was on August 4th, 2010 and called Free Ashampoo Burning Studio 2010 Advanced! - Review by Ashraf; (URL: http://dottech.org/freebies/17360) @ Jooles #26, @john #32: - checked if zip-file was complete? If not, try again – may be a connection error of some sorts? - if that doesn’t work, GRADUALLY lower the various levels of protection you use… From my experience it’s often some firewall causing this sort of problem (here probably due to Ashampoo inviting you to install their toolbar and/or wanting to automatically send you e-mail – but I may be mistaken here!) And I do know! Nobody likes to hear this advize, and neither would I when some perfect stranger were to tell me to lower my guard. However, you might consider this: 1. GAOTD has a reputation for offering malware-free software to uphold, and upto now they have always lived up to their guarantee (ever since I’m reading the site and downloading from it regularly, which is nearly two years) 2. …the, after installing you can restore your former security settings and run whatever protection software you deem fit to see if there is anything fishy at all (and use the proper tools to completely uninstall if you so desire) 3. You could always download and run programs in a virtual environment (“sandbox”), i.e. if you have one available (check dotTech for alternatives to yesterday’s offer here on GAOTD – Wondershare Time Freeze 2.0 – in case you missed that onde or didn’t like it). This normally gives a high level of protection. @Garfey B #31: “Hear!Hear!” as they would say in English Parliament ;-) @KJ #33, #48 “Will I be able to make back up copies of my copywrited movies?” If you’re talking about your own products, KJ, surely you have the software, background and support to do so without having to resort to today’s free Burning Studio? I would not want to incite anyone to produce illegal copies of COPYRIGHT protected movies or other intellectual property… Then again, you may be pulling my leg asking your question, might you not? [WOW! This sounds really posh! ) ] Sorry Dude, The Horse #53, ‘Them of the Unspoken Covenant’, and I fully agree on these issues. Besides: You’re whining about your new computer due sometime this week? Get off it, will you? Be glad that you can afford a new machine and teach yourself some real stuff on your ‘old’ one. You don’t sound like you’ve learned your lessons well. This one here is some seven years old and spinning just fine; my backup machine is prehistoric and not complaining yet. Get real… @ The Horse #53: …no comment, love the wording of your reply ;-)) @Phil K #41: “And yes, I know that Nero is/was German too” …German? Wasn’t he the Roman emperor who BURNed down the city in 64 AD? – just checked it on http://www.roman-empire.net/emperors/nero-index.html I bet that that’s where “Nero Burning Rom” comes from ;-) Germans do have a sense of humor… be it somewhat “special”… [This is meant as an innocent joke!.. which, for obvious reasons, I do not wish to enlarge on…] @Bill #68: You need some sleep, Bill. I’m afraid you’re hallucinating… @Bazooka Joe #70: -	you’re quite right about #48 -	as well as about # 51 …but as far as Ashampoo is concerned, who am I to judge? This may well be my first experience with them, but not my last one with spam… @#95 alias #48 etc… You DO neeed a lot of “training” and “education” – preferably not by yourself, from the looks of it. “they are for my bought and paid for movies” – see intelligent replies to your earlier posts… BTW: leave kids out of your silly excuses! @G #100: I’ll be following up on a movie about a copy-writer! ! Too tired now – especially after reading all these comments (the last 20 or so I just speed-read) ;-) To all, Had a great couple of hours! Have a nice (rest of the) night and/or day! Nine more hours to go before this one runs out of time – this free offer, I mean ;-) Greetz, Patrick. Great software, I used this software (Demo) few months ago and I was really asatonish by it. Very simple, powerfull, great stability, the best in it's category (I tried almost 10 differents Burning soft). I have burned, data, video, pictures ... without any problemes. My system is Win 7, 4 gig RAM, basic video card. I am having similar problem as others who installed this "wonderful" software on Windows 7 x64. I double-click on the program to start it, the logo shows up and it quietly slips to the background (basically disappears). However Task Manager shows that it is running. I can't or don't know how to bring this program into foreground. Anybody have any tips on how to do this? Question: I've been trying to do what seems should be a very simple thing with the various dvd/audio tools I have, unsuccessfully -- I want to put a DVD in my computer and record the theme music or other short audio piece to end up as an mp3 so I can make a ringtone. I'm not stupid but I can't seem to make this happen... VOBs, avi's, maybe I just don't know what to do or the software won't do it. Will this software do that, or can someone take pity on me and give me some tips? And to GOTD: "THANK YOU for all that you do." I downloaded and used the software immediately. Was very impressed with the ease of use and how complete it is. It burns all types of cd/dvds in one program. I burned all my pictures quickly and easily with this program. I also liked the feature of being able to print a label from the same program. It also worked great. I have tried many burning programs and found this one of the easiest ones I have tried. Good work. Still waiting for the email activation code. Yes I entered my email correctly but nothing from Wondershare. Spam filters all turned off. WTH? Some want cake and candy for free without any payoffs! I'm only too happy to trade my email address for an excellent program when it isn't given to any third parties! I only infrequently get emails from Ashampoo for the record! Ashampoo are excellent products! Some want cake and candy for free without any payoffs! I'm only too happy to trade my email address for an excellent program when it isn't given to any third parties! I only infrequently get emails from Ashampoo for the record! GREAT words of wisdom, however, I am curious...where is that meatspace you are speaking of? I've only been to meetspace :p Keep of the good work GAOTD and Ashampoo, nice software! Hi Horse...#51 GREAT words of wisdom, however, I am curious...where is that meatspace you are speaking of? I've only been to meetspace :p Keep of the good work GAOTD and Ashampoo, nice software! If it helps, today's GOTD, Burning Studio 2010 Advanced, is offered along with a discount if you want to upgrade to Burning Studio 10, an 80MB download vs. roughly 35MB for the GOTD. Similar names, different apps/suites, so somewhat confusing IMHO. #33: "Will I be able to make back up copies of my copywrited movies?" There's a reason that software to bypass DRM is not headquartered in the US or the EU --> even Real when they tried got shut down by the courts. You're not going to find big names like Nero or Ashampoo or Roxio offering anything like that, but there's both software & info on-line, if you want to look for it, concerning most every aspect of backing up the DVD/BD discs you've purchased. While it does include backup/restore & a cover editor, Burning Studio 2010 Advanced is primarily a burning app. If you have the required DVD or BD layout on your hard drive, in folders or as a disc image, it'll burn them to disc. If you have the files you need setup for autoplay, it'll burn those too, but setting up those files prior to burning is your job & burning software [&/or the *burning app* in a suite like Nero] can't do it for you. #47: "I’m much more interested in the idea that if I plan to burn a DVD with files from my machine that I know precisely how much space I have left on the disc in order to put enough files into the compilation and not too many." Nero Burning Rom &/or Express, along with any other burning app I've seen, including today's tells you how much space you've used & how much remains. That said, you could always just collect everything going on the disc in 1 folder & check properties, which does work well for video DVDs. You can also overshoot video DVDs slightly in your DVD authoring app, rendering your DVD layout to disc [i.e. VIDEO_TS folder], then use Shrink to get it near exactly at the max size before burning. If it helps, today's GOTD, Burning Studio 2010 Advanced, is offered along with a discount if you want to upgrade to Burning Studio 10, an 80MB download vs. roughly 35MB for the GOTD. Similar names, different apps/suites, so somewhat confusing IMHO. * * * #3: <em>"Please add Burn all video files like avi , flv , etc to DVD...</em> You can do that just by burning a data disc. If you mean that you want them to play/work as a video DVD, you have to convert the video to mpg2, then package the files inside a DVD layout, i.e. a VIDEO_TS folder with .IFO &amp; .VOB files etc. Some burning suites like Nero &amp; Roxio include *separate*, bundled apps for that, but those are value-added &amp; not as good as what's available as individual programs... I'm not sure about the upgraded Ashampoo product. You're usually [Much] better off using your choice of video converter coupled with your choice of DVD authoring software &amp; then using something like Burning Studio 2010 Advanced to burn them to disc -- just like burning apps don't create video DVDs, most of the DVD authoring apps don't do a great job burning. Swiss Army knives pack a lot into a smaller package, but everything they do is a compromise. ;-) * * * #33: <em>"Will I be able to make back up copies of my copywrited movies? "</em> No... There's a reason that software to bypass DRM is not headquartered in the US or the EU --&gt; even Real when they tried got shut down by the courts. You're not going to find big names like Nero or Ashampoo or Roxio offering anything like that, but there's both software &amp; info on-line, if you want to look for it, concerning most every aspect of backing up the DVD/BD discs you've purchased. Also, if it helps... While it does include backup/restore &amp; a cover editor, Burning Studio 2010 Advanced is primarily a burning app. If you have the required DVD or BD layout on your hard drive, in folders or as a disc image, it'll burn them to disc. If you have the files you need setup for autoplay, it'll burn those too, but setting up those files prior to burning is your job &amp; burning software [&amp;/or the *burning app* in a suite like Nero] can't do it for you. * * * #47: <em>"I’m much more interested in the idea that if I plan to burn a DVD with files from my machine that I know precisely how much space I have left on the disc in order to put enough files into the compilation and not too many. "</em> Nero Burning Rom &amp;/or Express, along with any other burning app I've seen, including today's tells you how much space you've used &amp; how much remains. That said, you could always just collect everything going on the disc in 1 folder &amp; check properties, which does work well for video DVDs. You can also overshoot video DVDs slightly in your DVD authoring app, rendering your DVD layout to disc [i.e. VIDEO_TS folder], then use Shrink to get it near exactly at the max size before burning. Thank you all. Sorry, I'm a "geek in training" at this time. Will learn as I go and try to educate myself by reading posts such as these. BTW, they are for my bought and paid for movies. Kids are heck on wheels when they use them. They don't think any dvd is complete without a scratch on them from the get go. But, since I won't be able to use the registration numbers to reinstall to my new laptop it's a moot point for me right now anyway, sad to say. Thanks again, I'll keep reading and learning. This is #48 LOL, MS #48, not Mr#48 Thank you all. Sorry, I'm a "geek in training" at this time. Will learn as I go and try to educate myself by reading posts such as these. BTW, they are for my bought and paid for movies. Kids are heck on wheels when they use them. They don't think any dvd is complete without a scratch on them from the get go. But, since I won't be able to use the registration numbers to reinstall to my new laptop it's a moot point for me right now anyway, sad to say. Thanks again, I'll keep reading and learning. Am I the only moron to grab this fantastic software, only to be told, "No compatible CD/DVD/Blu-ray Disc drives are found in your system" ? PS: Installed according to AShampoo's instructions. Not running properly after installation. After installing and starting, nothing appears on the screen (no GUI), yet the Task Manager shows that the application process (executable) is running. Windows 7 x64 home premium. Ashampoo Burning Studio 2010 Advanced is one of many capable disc burning apps -- you can use most any of them to burn your files on a blank disc & the end result will be the same. To set it apart from the competition Burning Studio 2010 includes a feature to change disc contents during a disc copy [handy], a backup option, a minimal cover editor, & the ease of use Ashampoo is well known for. Ashampoo is also known for entry to mid-level software, & true to form I don't think Burning Studio 2010 is going to impress those at the more Geek end of the spectrum. The biggest annoyance IMHO is the way Burning Studio 2010 handles drives & creating disc images... Many competing apps don't worry about how you're going to write the disc till later -- today's GOTD won't go beyond square one unless it finds a drive it likes. And when you choose the drive you want to use, the competition often shows *creating a disc image* right there with the drives -- Burning Studio 2010 tacks it on as a separate process that feels a bit like an afterthought. Now that's not going to bother lots of people, but if you've already got burning software you use, that may be one reason not to switch to Burning Studio 2010. When you start Ashampoo Burning Studio 2010 Advanced you see a project center type window, similar to Nero & Roxio, but it doesn't use separate apps for the different functions like those two. It also doesn't have their audio/video conversion features or capabilities -- take away Backup & the Cover Editor & it's very similar to the older Nero Express 6. Using the Expert Functions gives you some of the controls/settings you're used to & expect if you're experienced with Nero, Roxio, & ImgBurn. While the Cover Editor is usable, there are so many better solutions I don't see a reason to. Backup/Restore could be a viable option for files/folders, but not IMHO complete system disks, & not if you're looking for a full-featured solution -- this is along the lines of an easier to use WinZip, WinRAR etc. The app itself takes up ~80MB -- you can drop that to ~60MB by deleting the extra language files, & ~20MB is taken up by the themes/graphics for use with the Cover Editor. All Users App Data is where Ashampoo stores the .xml file with data on compatible drives. Otherwise no files are added to Windows' folders, & I'd characterize registry impact as fairly mild -- 10 keys to Classes, several to Autoplay, uninstall, & the app's key itself. Even a few years back conflicting burning apps could be a problem -- I don't see anything with that potential here, & there is no virtual drive or disc image mounting to cause any of their somewhat frequent issues. All in all it's easy to recommend Ashampoo Burning Studio 2010 Advanced for more casual users, where it's ease of use would be welcome -- it's the sort of thing I'd suggest to family members & friends, especially if I didn't want to do a lot of hand-holding. ;-) For speed getting a burn setup & going I like Nero Express, I only trust & use the free, portable ImgBurn for dual layer video DVD, & for BD 5/9/25 I usually stick with ImgBurn too, though Roxio has worked well enough [it's just more of a hassle to set up the burn]. Ashampoo Burning Studio 2010 Advanced is one of many capable disc burning apps -- you can use most any of them to burn your files on a blank disc &amp; the end result will be the same. To set it apart from the competition Burning Studio 2010 includes a feature to change disc contents during a disc copy <em>[handy]</em>, a backup option, a minimal cover editor, &amp; the ease of use Ashampoo is well known for. Ashampoo is also known for entry to mid-level software, &amp; true to form I don't think Burning Studio 2010 is going to impress those at the more Geek end of the spectrum. The biggest annoyance IMHO is the way Burning Studio 2010 handles drives &amp; creating disc images... Many competing apps don't worry about how you're going to write the disc till later -- today's GOTD won't go beyond square one unless it finds a drive it likes. And when you choose the drive you want to use, the competition often shows *creating a disc image* right there with the drives -- Burning Studio 2010 tacks it on as a separate process that feels a bit like an afterthought. Now that's not going to bother lots of people, but if you've already got burning software you use, that may be one reason not to switch to Burning Studio 2010. When you start Ashampoo Burning Studio 2010 Advanced you see a project center type window, similar to Nero &amp; Roxio, but it doesn't use separate apps for the different functions like those two. It also doesn't have their audio/video conversion features or capabilities -- take away Backup &amp; the Cover Editor &amp; it's very similar to the older Nero Express 6. Using the Expert Functions gives you some of the controls/settings you're used to &amp; expect if you're experienced with Nero, Roxio, &amp; ImgBurn. While the Cover Editor is usable, there are so many better solutions I don't see a reason to. Backup/Restore could be a viable option for files/folders, but not IMHO complete system disks, &amp; not if you're looking for a full-featured solution -- this is along the lines of an easier to use WinZip, WinRAR etc. The app itself takes up ~80MB -- you can drop that to ~60MB by deleting the extra language files, &amp; ~20MB is taken up by the themes/graphics for use with the Cover Editor. All Users App Data is where Ashampoo stores the .xml file with data on compatible drives. Otherwise no files are added to Windows' folders, &amp; I'd characterize registry impact as fairly mild -- 10 keys to Classes, several to Autoplay, uninstall, &amp; the app's key itself. Even a few years back conflicting burning apps could be a problem -- I don't see anything with that potential here, &amp; there is no virtual drive or disc image mounting to cause any of their somewhat frequent issues. All in all it's easy to recommend Ashampoo Burning Studio 2010 Advanced for more casual users, where it's ease of use would be welcome -- it's the sort of thing I'd suggest to family members &amp; friends, especially if I didn't want to do a lot of hand-holding. ;-) For speed getting a burn setup &amp; going I like Nero Express, I only trust &amp; use the free, portable ImgBurn for dual layer video DVD, &amp; for BD 5/9/25 I usually stick with ImgBurn too, though Roxio has worked well enough <em>[it's just more of a hassle to set up the burn]</em>. The software does work as intended for the basic burning functions I need it for. Was already a previous user of their Burning Studio Free 6 and always found it to be a reliable program. Maybe I might be able to use this to its full potential one day. Re: excessive emails. If you agree to give out your email address , you can control the promotional emails you receive in your inbox by logging into your AShampoo account and deselecting the promotional emails. There will be a time where eventually you will want to buy this software. The software does work as intended for the basic burning functions I need it for. Was already a previous user of their Burning Studio Free 6 and always found it to be a reliable program. Maybe I might be able to use this to its full potential one day. Re: excessive emails. If you agree to give out your email address , you can control the promotional emails you receive in your inbox by logging into your AShampoo account and deselecting the promotional emails. There will be a time where eventually you will want to buy this software. Thanks GOTD and AShampoo. All you guys complaining about being "spammed" by Ashampoo, there is a link to unsuscribe at the bottom of each mail...worked with me. By the way, very good program I've been using for a while, was already offered elsewhere before. The only freebie I know that's as good would be Starburn. All you guys complaining about being "spammed" by Ashampoo, there is a link to unsuscribe at the bottom of each mail...worked with me. By the way, very good program I've been using for a while, was already offered elsewhere before. The only freebie I know that's as good would be Starburn. I have confidence in Ashampoo products, and already have Burning Studio 2010. I use it exclusively. I've found Ashampoo good to work with as an online business as well....professional and helpfull. Thanks GAOTD and Ashampoo. Ashampoo rocks! Love their software & thanks GAOD, you made my day today! Ashampoo rocks! Love their software &amp; thanks GAOD, you made my day today! Wierd.... This GOTD is for quote "Ashampoo Burning Studio 2010 Advanced". I like to have some detailed info on what the features are of any program I download bigger than 6Mb. Their website has no reference to such a program "Ashampoo Burning Studio 2010 Advanced" and the closest match is "Ashampoo Burning Studio 10". The GOTD file is 34.1Mb whereas plain-old "Ashampoo Burning Studio 10" is a substantial 72Mb. The link from this page does not go to any product called "Advanced". I shall have to pass. Wierd.... This GOTD is for quote "Ashampoo Burning Studio 2010 Advanced". I like to have some detailed info on what the features are of any program I download bigger than 6Mb. Their website has no reference to such a program "Ashampoo Burning Studio 2010 Advanced" and the closest match is "Ashampoo Burning Studio 10". The GOTD file is 34.1Mb whereas plain-old "Ashampoo Burning Studio 10" is a substantial 72Mb. The link from this page does not go to any product called "Advanced". I shall have to pass. All marketing email from reputable companies will have an unsubscribe link (it's the law). If you don't want to receive their email, just unsubscribe! Can anyone tell me whether this program burns CDs to Bluebook and Redbook standards? I'm using Nero burning rom at the moment, and so far its the only program I've found that does this. All marketing email from reputable companies will have an unsubscribe link (it's the law). If you don't want to receive their email, just unsubscribe! Can anyone tell me whether this program burns CDs to Bluebook and Redbook standards? I'm using Nero burning rom at the moment, and so far its the only program I've found that does this. There are two awesome companies who occasionally place their utilities on GAOTD: Ashampoo and Sothink. Both are top notch and, it appears, ethical companies. Any time I see tools from either of these companies, I download and install them with confidence. I've also purchased a few from each of them that I received for free. There are two awesome companies who occasionally place their utilities on GAOTD: Ashampoo and Sothink. Both are top notch and, it appears, ethical companies. Any time I see tools from either of these companies, I download and install them with confidence. I've also purchased a few from each of them that I received for free. Im sorry, I couldnt find anywhere where it specifies what types of files are handled by Ashampoo Burning Studio. Does it convert and burn .avi files? I know Im supposed to download and find out for myself I guess but I do have a concern that this program may conflict with software I already have, which has happened to me before. Please dont vote me down, Ive read all the reviews and have gone to the web page, still I could not find where they state which files the program works with. after downloading, opening file and extracting I get a "fail to connect" message. I can't get it to run so I can enter the key. Please give detailed direction on how to install this give away software. I have a Ashampoo account and have received the key. I have gone to their web site and checked my account and the info is there. but I still can't get it registered etc. Help!!!!!!!!!!!! Help!!!!!!!!!! I have been a loyal Ashampoo customer for many years. I have bought earlier versions of this software, and use it regularly. During the install you will have the option of installing the Ashampoo toolbar.I accidentally did this and now find it to be very convenient Registering with will mean you will have lots of bargains from them. They always come with a free 40 day evaluation. The evaluation periods are always full packages not some lesser product. Microsoft, Adobe and the other giants could learn from this German company. Lots of companies say that the customer is the most important part of their product, but Ashampoo believes it and lives it. Grab this little beauty while you can. Whats the difference between Burning Studio 2010 and Burning Studio 10 then? Whats the difference between Burning Studio <b>2010</b> and Burning Studio <b>10</b> then? Tried several times to install, no good. Windows 7 64x. Oh well! I suspect different users have different experiences. I am totally barraged by them. I get probably 8-10 email messages a week. I set them to go to junk mail but they keep changing up how they are sent and I have to make a new junk mail rule. Not saying they do this to paying customers, but I got a couple of their programs free and boy do they want me to pay for upgrades. Nothing wrong with their software, but I just don't have use for it very often. Re: Barrage of email from Ashampoo I suspect different users have different experiences. I am totally barraged by them. I get probably 8-10 email messages a week. I set them to go to junk mail but they keep changing up how they are sent and I have to make a new junk mail rule. Not saying they do this to paying customers, but I got a couple of their programs free and boy do they want me to pay for upgrades. Nothing wrong with their software, but I just don't have use for it very often. I currently have burning studio 2009. Does anyone know if I have to completely uninstall this to install today's offering? thanks.